S-92s land after an overwater training flight. Simplify complex helicopter operations with comprehensive, seamless support for short and long-term rotary-wing missions. Skycore Aviation tailors turnkey solutions to meet operational, maintenance and training support needs that are readily deployable and designed to satisfy each customer’s short- to long-term requirements. Anywhere in the world, we can deliver our clients a full-support solution featuring forward-deployed management for cohesive, seamless operations. We can support flight operations by flying missions while training your helicopter pilots in classrooms, simulators and in your aircraft. 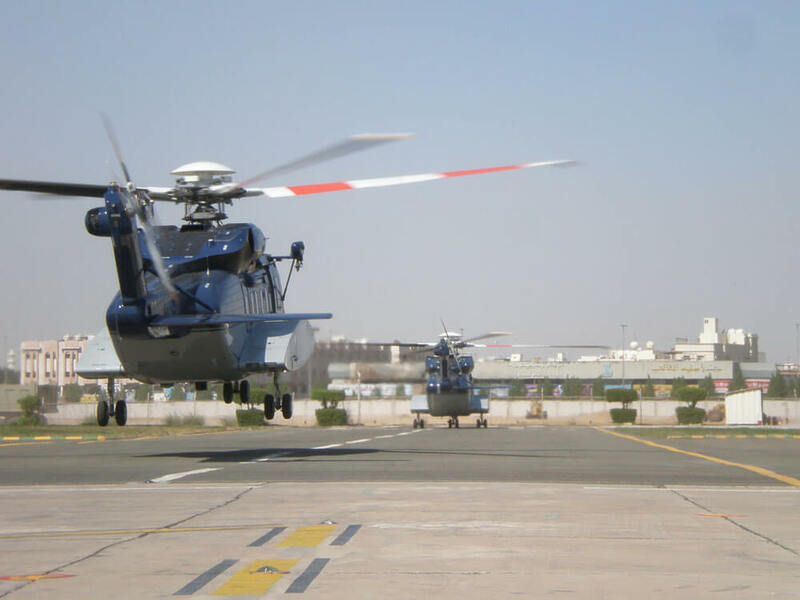 Our mechanics and technicians can maintain your fleet and simultaneously provide your helicopter maintenance personnel with on-the-job training. Skycore understands the complexity of managing and operating helicopter operations in remote areas of the globe. We have the past performance to prove our ability to deliver a seamlessly run program. Skycore has successfully fielded multiple aircraft, established numerous operations and maintained those operations on a long-term basis.